Most river cruise itineraries are at least seven nights or eight days; however, there are a few packages that are less than seven nights. 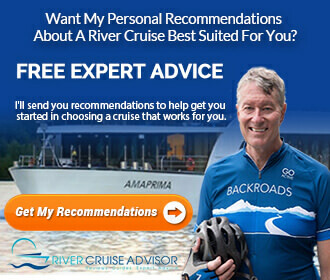 These are considered mini river cruises or short break cruises, and they are a great option for first-time river cruisers or even seasoned river cruisers who only want to spend a few days on the water. Cruises are between three days and six days. 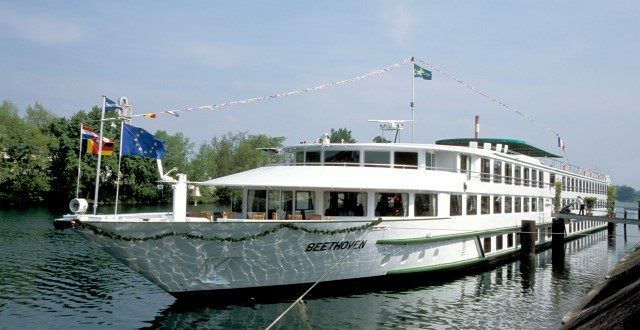 CroisiEurope’s Beethoven sails Europe’s Rhine and Danube rivers. Photo courtesy of CroisiEurope. If you have never been on a river cruise, the mini river cruises will give you a chance to see whether or not you would like to take a longer cruise some day. Even if you have taken an ocean cruise, a river cruise is quite different, especially with regard to ship size. River boats in Europe generally carry between 150 passengers and 200 passengers, depending on the waterway. 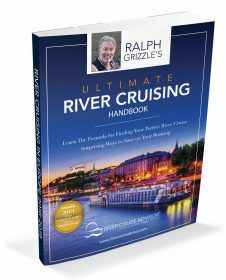 Or maybe you have already been on a river cruise and just want to combine the mini cruise with a land vacation this time. While there are quite a few itinerary options, there are only two companies that offer mini river cruises. CroisiEurope and A-ROSA are currently the only river cruise companies that offer mini river cruises. Packages are available on the Rhine, Danube, Seine, Rhone and Douro rivers. While you won’t see as many sites or spend as much time at each destination as you would on a longer cruise, a mini cruise will still give you a chance to experience a river cruise. The shortest itineraries are CroisiEurope’s “A Weekend Break in the Rhine Valley.” It’s a three-day trip from Strasbourg to Koblenz with a stop in Rudesheim. “Escape to Provence” is another three-day cruise from Lyon to Avignon, Arles and Martigues on the Rhone River. Other packages from CroisiEurope include a few five-day cruises. “The Romantic Rhine River Valley and the Legendary Lorelei Rock” cruise is round trip from Strasbourg with visits to Rudesheim, Heidelberg and Speyer or Mannheim. On the Danube River the “Capitals of the Danube” is roundtrip from Vienna, including a stop in Bratislava and Budapest. And the “Valley of the Seine” is a roundtrip cruise from Paris to Normandy. If you would like to travel in Italy, CroisEurope has a five-day mini river cruise from Venice. A few of the cities visited include Burano, Murano, Chioggia and Padua. A six-day cruise on the Douro River is also available. The “Porto, the Douro Valley and Salamanca” is a round trip cruise from Porto, Portugal to Vega de Teron, Spain. A few other cities visited are Regua, Pinhao, Barca D’Alva, Ferradosa, Folgosa and Lererinho. All of the packages listed above for CroisiEurope start at less than $1,000 per person. It’s important to note, though, that airport transfers, gratuities and shore excursions are not usually included in the price. A-ROSA also has a few mini river cruises itineraries that are less than six days. The “Mini Cruise Metropolises Netherlands” is a roundtrip five-day cruise from Cologne to Rotterdam and Amsterdam. And also on the Rhine, the “Mini Cruise Romance on the Rhine” is a five-day roundtrip cruise from Cologne to Mannheim, Strasbourg and Mainz. The packages listed for A-ROSA start at less than $1,800 per person; however, they are considered all-inclusive. Airport transfers, prepaid gratuities, port charges, taxes and fees, shore excursions and many other things are also included in the fare. There are more packages to choose from with CroisiEurope. When it comes to pricing, the two are comparable when all costs are taken into consideration.